Leave it to a golf industry leader like Callaway golf to get input from PGA and LPGA tour players to design a surprisingly easy-to-use fairway wood that gets players out of tough spots on the course. The Callaway X Fairway 08 Fairway Wood does just that; designed as an improvement to Callaway’s already popular X series of fairway woods, the 08 model features new technology and hybrid elements. The X series of woods includes these core technologies: Variable Face Thickness and S2H2 technology. Together, these features maximize the weighting of the clubhead and the face thickness for increase power and distance. Also, Callaway has taken a lesson from its X series hybrids and included the Modified X-Sole in the woods. The resulting club offers forgiveness, stability, accuracy, and distance. Fairway woods are designed to help golfers achieve distance and get out of tough spots on the course. The Callaway X Fairway 08 Fairway Wood accomplishes just that with Callaway exclusive technology and hybrid-inspired design. Callaway’s X series incorporates both Callaway’s Variable Face Thickness, or VFT, technology and S2H2 design. With a thick center and thin edge, the X Fairway Wood’s clubhead has been designed with VFT technology; the thicker center allows more power to get behind the ball. The S2H2 design moves a significant portion of weight from the hosel into the perimeter of the clubhead for greater stability and more efficient use of weight. 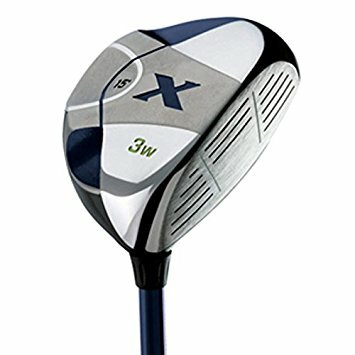 The new X series fairway club has a slightly larger head and a Modified X-Sole design previously features in the X hybrids. With a Modified X-Sole design, the wood is able to cut through the toughest parts of the course with ease. In addition, the leading edge of the club has been lowered, so shots fly higher. The Callaway X Fairway 08 Fairway Wood comes with an option of a 15-, 18-, or 21-degree loft; each club includes Callaway’s two-year warranty. Reviews have experienced “high and straight” shots with the Callaway X Fairway 08 Fairway Wood. The graphite shaft is a particularly nice feature of this new addition, and the overall look and feel of the club is very good. The club’s size, face, and weighting made it easy to line up shots and achieve a square hit. Both high- and low-handicappers will be thankful for the opportunity to get out of the rough with this wood from Callaway.